We are sorry to report that after careful consideration, the Whitewater Main St. Festival will be no longer occur due to multiple reasons. The purpose of the festival was to support the arts in Whitewater on a variety of levels. This last year it was able to award a few artistic merit awards at the high school and college level. 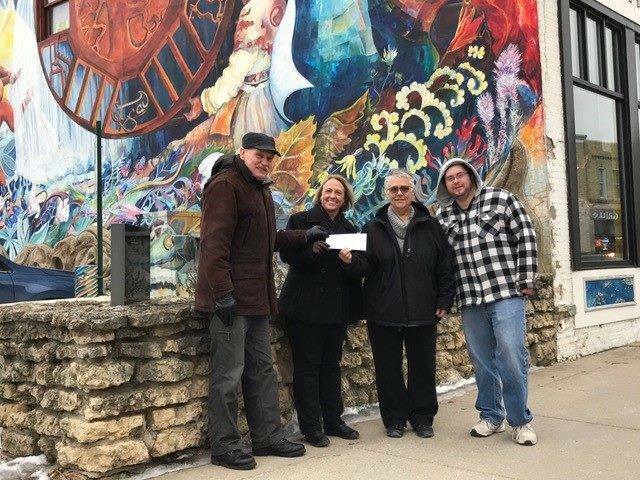 The remainder of funds have been put into a fund, held by the Whitewater Arts Alliance to support the upkeep and conservation of the Prairie Tiller Mural. Thank you to all who have supported the festival during it's short life. We hope that someday it could be brought back to life. We know the funds gained throughout the years will support a great piece of art that is a pride of the Whitewater community. Thank you to the Whitewater Arts Alliance for the safe keeping of the mural over its many years. The Whitewater Main Street Festival is an annual event celebrating the Arts. Created through a partnership between multiple organizations and businesses the event is held throughout the city of Whitewater. The historic architecture and natural beauty serves as the perfect backdrop for exploring galleries, local shops and restaurants and to experience the many diverse forms of the arts we support in our city. Be sure to check our Giving to the Community link to see how Festival is supporting the arts in the area. 2018 will bring great opportunities to immerse yourself and family in the arts with hands on art making, sidewalk sales, art exhibits and music for all to enjoy. Check out last years drumming circle with Christine Hayes. Proceeds from the event go to support the local arts environment in our community. Funds will help support scholarships for local high school and college students, community art programing with a focus on people with disabilities. It will also help support creative improvements to our city such as public murals, mosaics and sculptures.